Food sensitivities are mild allergies that can cause migraine, fatigue, weight gain, gas, bloating, joint pain and rashes. If you have food sensitivities, you will feel much better when you eliminate the foods you are allergic to. So how do you find out which foods are causing your symptoms? We offer both IgG antibody and ALCAT testing for food sensitivities. ALCAT is more effective than the IgG antibody testing. ALCAT measures the total amount of inflammation in whole blood that you have to a food, while IgG antibody testing measures antibodies, but not inflammation. Prices for ALCAT testing vary based on how many foods and additives are being tested. The range is between $450 and $1100. IgG testing is much less because the insurance will often pay a portion. Typically, IgG cost is between $80 to $250 depending on how much insurance covers. Even though the ALCAT is the better test, I also carry the IgG testing because it costs less than ALCAT and still gives us some information about foods that people might be allergic to. Also, if cost is an issue, I offer elimination diets, which cost nothing and can help you determine whether you have a food sensitivity. 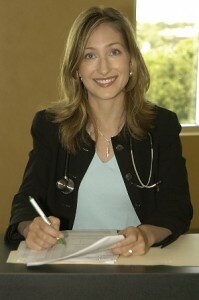 To learn more about IgG testing and elimination diets click this blog: http://www.doctorhermann.com/blog/bid/129091/How-to-Treat-Food-Allergies-in-the-Tampa-St-Pete-Area. To schedule your appointment with Dr. Anne Hermann, call (813) 902-9559.